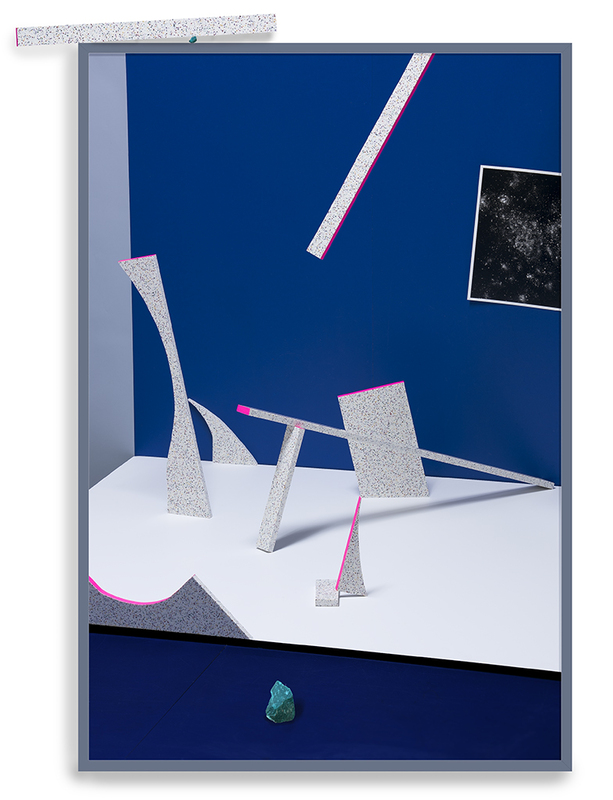 In Brent Wahl’s much-anticipated new body of work, brightly hued constructions, photographic prints and objects intermingle, disrupting the picture plane with wit and restraint. His new body of work questions perceptions of reality, and seeks to objectively examine consciousness by playfully and contemplatively asking the viewer to consider their relationship to existence, not just to the self. PHILADELPHIA – The Office of Arts, Culture, and the Creative Economy’s Percent for Art Program (OACCE), Philadelphia Parks & Recreation, Center City District, and the Friends of the Rail Park are pleased to announce a new site-specific public art commission by Philadelphia-based artists, Brent Wahl and Laynie Browne. Opened in the spring of 2018. Selected to be one of the featured artists in the promotion blitz for this amazing event in Los Angeles this November, 2017. 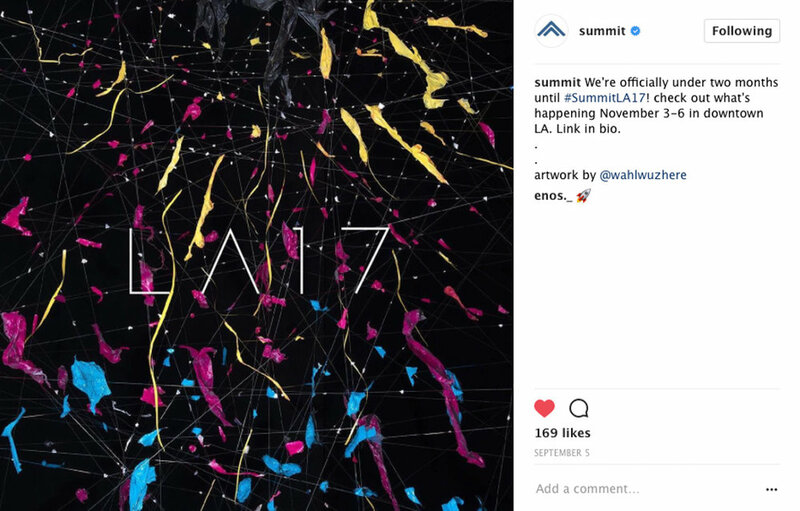 Summit's 11th flagship, LA17, will gather 3,500 leaders across all disciplines. For three days, the festival will host a diverse array of talks, performances, wellness classes, art installations, gourmet food, and experiences designed to foster relationships and inspire new perspectives. Awarded a travel grant by the The Pew Center for Arts and Heritage to visit the 56th La Biennale di Venezia. Philadelphia's Pew Center for Arts & Heritage announced today the 2014 recipients of over $9 million in grants supporting local artists and cultural organizations. Several of the largest grants, at $360,000, will support upcoming exhibitions at institutions like the Institute of Contemporary Art (ICA) and the Philadelphia Museum of Art (PMA). The 49 individual grantees work in a variety of artistic mediums. They include visual artists Leroy Johnson and Brent Wahl, both of whom have been named Pew Fellows and will receive $60,000. The Pew Center has been awarding grants since 1989, beginning as the Philadelphia Music Project and expanding, in 2005, to its current conglomeration of charitable programs honoring artists, choreographers, composers and others. Featuring artists: Andrea Hornick, Odili Odita, Josh Weiss, Talia Greene, Andrea Wohl Keefe, Laura Watt, Brent Wahl, Abbey Ryan, and Daniel Oliva. Two artists who work with photography as a subject as well as a medium are Brent Wahl and James Welling. Fiat Lux will be a group exhibition of work by five Philadelphia artists. While each of the artists was trained as a photographer none has a simple or straightforward relationship with the medium. Photography is central to the work of all these artists, but their explorations of the potentials and shortcomings of the medium result in a surprisingly diverse group of works. The work of all of these artists responds to successive earlier generations of photo-based artists who questioned and challenged established notions of photography. At the same time they are addressing the overwhelming proliferation of photographic images in today’s society. Selected as one of nine artist's in this inaugural portfolio offering in July of 2012. Like a Community Supported Agriculture program, this Community Supported Arts program supports a direct maker-to-buyer relationship between artists and collectors working and living in the Philadelphia region. Over the last 20 years, Community Supported Agriculture has become a popular way for consumers to buy seasonal food directly from local farms. With the same buy-local spirit in mind, Tiger Strikes Asteroid & Grizzly Grizzly galleries create an endeavor to support local art, artists, and collectors. Featuring artists: Amy Beecher, Aspen Mays, Klea McKenna & Brent Wahl. Featuring artists: Dechemia (Isobel Sollenberger & John Gibbons), Sebastien Leclercq, Josh Shaddock, Brent Wahl. Charley Independents looks at international artist collectives and curatorial organizations that are initiating strategies for the distribution of art: 98 Weeks Research Project, Arrow Factory, Cemeti Art House, Invisible Academy, Latitudes, Light Industry, Mono.kultur, Collective Parasol, Post-Museum, Scrawl Collective and many others. Charley is sponsored by the Deste Foundation, Athens, Greece, which supports artist's projects, exhibitions, and symposia that explore the relationship between contemporary art and culture. Featuring artists: Alyson Shotz, Ryan Trecartin, Laura Letinsky, Brent Wahl, Cindy Sherman, Willie Cole, Marlo Pascual, Laurel Nakadate, Ry Rocklen, Hank Willis Thomas, Linda Stillman, Paul Villinski, Walhala Temi, Tracy Heneberger, Hidemi Shimura, Ho-Sup Hwang, Jude Tallichet, Rachel Perry Welty, David Shapiro, Julia Jacquette, Charles Spurrie, Josette Urso, Ryan Alexiev & Hank Willis Thomas. 'Visionary curators' Maurizio Cattelan, Cecilia Alemani and Massimiliano Gioni invited 50 international independent art collectives to create projects in the Turbine Hall. I was included, with my colleagues from Vox Populi, in this group show of art collectives from around the world at the Tate Modern in 2010. We’re Working On It is a visual representation of Vox Populi’s 21st year of programming (2009-2010). We’re Working On It is a visual representation of Vox Populi’s 21st year of programming (2009-2010), as well as an illustrated timeline of artist-run spaces in Philadelphia (dating from the 1960's), rounds out this important publication. Edited by Andrew Suggs, Executive Director, Vox Populi. Also included in the pages is the first written history of Vox Populi (by Amy Adams), the starting point for a history of artist-run spaces in Philadelphia (by Richard Torchia), and an essay on our city’s identity as a center of artistic production (by Paul Galvez). "In a brief journey to the soundtrack of tropical birds and a distant battle, we visit an anonymous mountain terrain, a desolate magical forest, various military bunkers, and Le Corbusier’s Unite d’Habitation in Marseille..."
Held at X in June, NO SOUL FOR SALE – A Festival Of Independents brought together the most exciting, creative and respected not-for-profit centers, alternative institutions, artists’ collectives and independent enterprises from around the world that contribute to the international art scene by inventing new strategies for the distribution of information and by supporting a diverse cultural program. Expanded Marks presented works from fifteen artists whose practices embrace and expand notions of mark making. The works in the show were contemporary expansions of drawing in many media: sculpture, installation, painting, and drawing. The exhibition was curated by Osvaldo Romberg, in collaboration with five emergent artists and architects -- Srdjan Jovanovic Weiss, Asher Barkley, David Romberg, Blaine Siegel, and Constantina Zavitsanos. 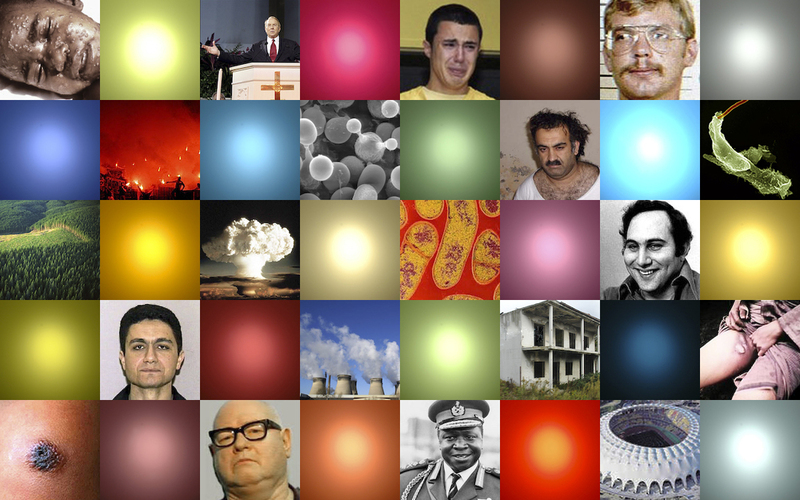 Holy Holes: Absolute Stalls was a multimedia exhibition exploring different viewpoints on the relationship between religion, power and economics. This show looks at religion from a humorous, poetic and critical perspective, subverting traditional expectations and inviting the viewer to interact, transform, or reflect on the relationship between religious rituals and consumerist everyday practices. Featuring artists: Brent Wahl, Dylan Mortimer, Grady Gerbracht, Hadassa Goldvicht, Jenny Marketou, Joseph Bennett, Adriana Varella, Angela Freiberger, Gearóid Dolan, Tobaron Waxman, Kimberly Simpson, Karin Giusti, Marcia X, Meirav Leshem, Kwabena Slaughter, and Neil Beloufa. A stadium or arena can come in many forms and can serve many purposes from accommodating soccer crowds and political rallies to religious gatherings and refuge. In the installation, which I think of as a drawing, the stadium represents an intersection between architecture, entertainment, container and cage. Specifically, an arena reflects the society that it serves, and in every way it inherently represents the spectacle. There is an immense amount of power inherent in an arena and it presents itself most poignantly with the sensation of unity. Despite this, it can also represent a lurking darkness. These structures have the ability to undermine their purpose in the forms of latent volatility and impending chaos, overcrowding and even death. The installation at Vox consists of an aluminum foil stadium and 550 2” x 2” images. These images are introduced into a ‘super stadium’ that functions as a framework and housing for the darker issues that we grapple with historically and in the media each day – it is a response to societal frustration, fear, and the misunderstanding of human nature.